DES MOINES – A new survey of Iowa Superintendents has found that about 2/3 of them will be forced to raise class size, cut teachers, and reduce opportunities for students if lawmakers approve a 2% or lower increase in basic school funding. Of those surveyed, 98.6% said the state’s investment in education for the last several years has not been enough to make sure every Iowa child receives a world-class education. 69% said a 4% increase in state funding was required to meet the needs of their students. The superintendents were also asked about the impact of just a 2% increase in state funding for the upcoming school year: 71% said they would have to raise class size, 61% said they would layoff teachers, 58% would reduce class offerings, and 65% would delay purchasing new textbooks and classroom materials. 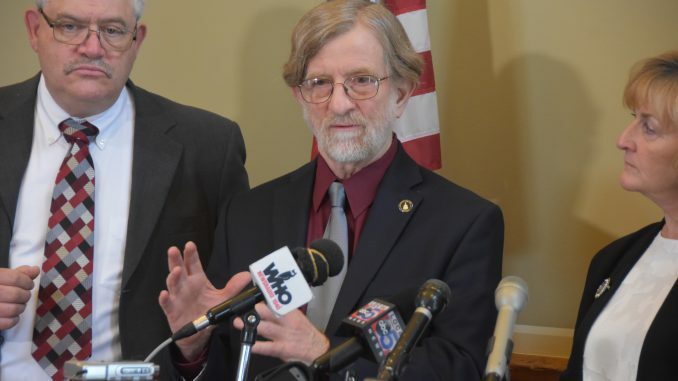 “If legislative Republicans shortchange our schools again this year, it will have disastrous consequences for students: rising class sizes, fewer opportunities, old textbooks, and teacher layoffs,” added Senator Herman Quirmbach of Ames, Ranking Member of the Senate Education Committee. “We need to renew our commitment to public schools this year and put education first again. How should the state help public schools attract and retain good teachers? We need to pay our certified and non-certified staff better if we are going to retain them. It’s hard to compete with the business world and how well they are able to compensate their employees. Educators have one of the most important jobs possible as they are preparing students for the real world, yet we don’t pay them near enough for the importance of their job. Over the last year, what challenges have you faced because supplemental state aid has not been set a year in advance as required by law? What message do you have for lawmakers, Governor Branstad and Lt. Governor Reynolds regarding the future of public schools in Iowa? If you really want to build a high quality work force for business and industry in our state you must adequately fund the public schools so we can offer the quality programs necessary to make that a reality. School vouchers, private school scholarship tax credits and charter schools will take funding away from public schools, our community schools and make it impossible for us to help develop the work force Iowa deserves. Do you have any other concerns you would like to share? Vouchers are a HUGE concern. Public schools are our foundation in Iowa. If we continue to reduce support for our schools that serve our children it will be difficult to recover from. If we can’t fund our schools well today how will we be able to if we include all private school children? Private schools are a family choice-not a necessity or state budget item. Many of the communities rely on their school systems as a focal point to attract business and families. By squeezing schools financially and forcing school closings you are hurting all the communities throughout the state. If we want Iowa to be made up of a handful of big schools that are all located in our big cities then we are heading down that path. Communities suffer when their schools are closed. Preschool has made a major impact on the education of our students. Please know that early intervention is the best practice for students and their education. Penalizing student at the completion of 3rd grade is not the right decision, especially when it is based off a 1 minute test. What is the biggest challenge you face in hiring good teachers? Lack of applicants for vocational programs. Beginning teacher salaries are way to low to attract math, science, and vocational teachers. Public education is the one item that allows all of our students in Iowa an equal chance to succeed. Removing funding or underfunding will create long term inequalities for Iowans and in turn cost us more than the initial investment. Iowa educators continue to do more with less. It is difficult to continue this trend but it seems we have little choice. I am superintendent of two small schools. We have hard working, caring teachers and employees who do so much for our students and our districts. They sacrifice a lot and it feels as though we are being squeezed and squeezed. Please help small schools so they are not forced to close and have our students travel even farther every day. 140 Superintendents responded to an online survey sponsored by the ranking members of the House and Senate Education committees. What amount of supplemental state aid do you need for the 2017-2018 school year to meet the educational needs of your students? What amount of supplemental state aid do you need for the 2018-2019 school year to meet the educational needs of your students? 4. Thinking about the last several years, has the state invested enough in your school district to keep up with rising costs, new state mandates and key priorities in your district to make sure every kid gets a world-class education? 5. Should the Legislature invest the resources necessary to make preschool available to all Iowa 4-year olds?